Cedarberg Guest Farm - Cedarville Accommodation. Come and enjoy the hospitality, peace and tranquility of the Cedarberg Guest Farm, situated in the foothills of the southern Drakensberg. Enjoy a sundowner as the sun sets behind the rugged Drakensberg skyline, whilst experiencing the breathtaking view from the top of the Cedarberg mountain (1932m). Become a weekend farmer on the working Cedarberg Farm, covering about 1500 hectares. Assist, or just experience, farming activites such as dipping cattle, milking cows, counting sheep and the like. Go for a relaxing horse ride on our trusty Boerperd horses or take a walk to spot game such as Zebra, Common & Mountain Reedbuck, Red Hartebeest, Oribi and Blesbuck. Have a picnic in the magnificent guest house garden or next to the trout dam within walking distance from the main house. Enthusiastic birders can study the abundance of bird life in the area; East Griqualand (E.G) is a well renowned location for endangered species like the Wattle Crane, Buff Spotted Flufftail and Rudd's Lark. For the adventurer there is mountain, quad and 4X4 trails on the farm. There are various routes that can also be tackled in and around the E.G area. E.G is also the gateway to four mountain passes into the lesser explored southern Lesotho. E.G is a premier destination for trout, black-bass and carp fishing. Both trout and bass can be fished for on the farm. 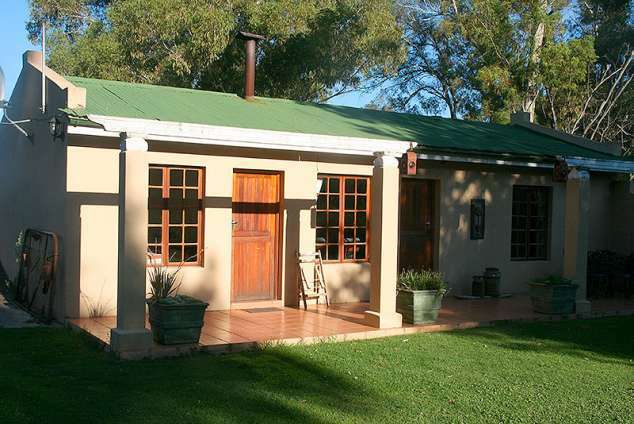 Cedarberg's revamped shed is also the ideal venue for a country wedding or conference. The guest farm is especially suitable to accommodate larger family getaways or the like, with a large communal kitchen and entertainment area. We guarantee you as much solitude as you need to relax with your friends and family! 4x4 vehicles and horse rides for hire. Firewood provided. Dinner and breakfast provided upon prior request. Caravan and camping sites with power points. Cedarberg is situated 8km outside Cedarville, a little town in the heart of East Griqualand. 300km from Durban, 250km from Pietermaritzburg on the R56. We are an ideal stop-over on the scenic "Route R56" linking KZN and Eastern Cape. This route is a great alternative to the normal N2 route when traveling from Durban to Cape Town. 98191 page views since 21 Aug, 2001.